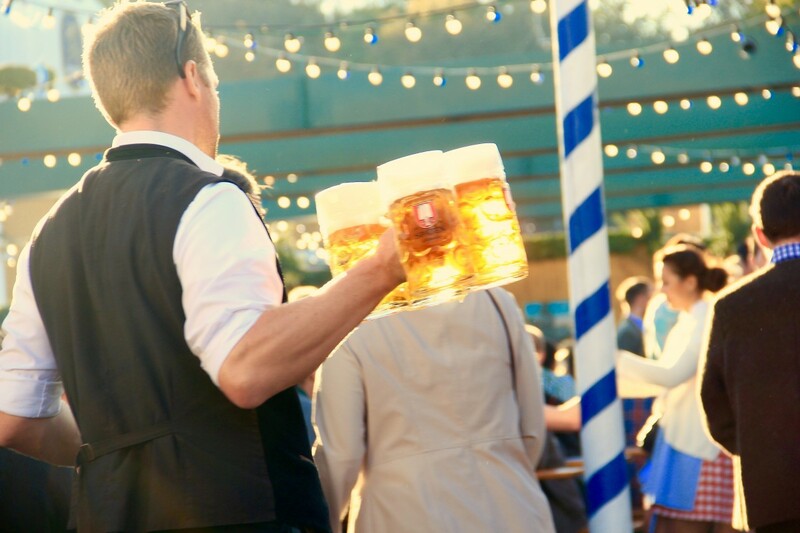 Oktoberfest is upon us, and with it come a great number of special events that will put your beer drinking skills to the test. The German tradition has long been a global phenomenon as people around the world honor the culture with traditional German food, dances, and drinks. Don't miss out on the festivities by checking out our list of where to celebrate Oktoberfest in Miami. Sam Adams is hosting their ninth-annual Wynwood Octoberfest starting on Friday, September 28. The weekend-long event will be held at 2250 NW Second Avenue and features fun games, live entertainment, and as you might expect, a lot of beer! Opening hours are from 7 p.m. to 2 a.m. on Friday, 2 p.m. to 2 a.m. on Saturday, and 12 p.m. to 8 p.m. on Sunday. On October 6, Oktoberfest at the Seminole Theatre is a great way to celebrate this festive occasion in Miami. The event will showcase Vocaldente, a prominent German acapella quintet who sing an array of different tunes from previous music eras. Drinking games, food, and other entertaining activities are also expected to accompany this unique theater show. Tickets are available online ranging from $29 to $45. Take part in the grand Oktoberfest celebration at the Miami Beach Botanical Garden this upcoming Friday, October 9. Starting at 7 p.m., guests will be able to sample some of the best craft beers from popular South Florida breweries. The event also features a food menu that includes grilled bratwursts, strudels, apple pies, pretzels, and other delicious treats. Live entertainment will be provided by The Tall Boys. Tickets start at $45 and are available online. Grovetoberfest is back with their enormous event at Peacock Park in Coconut Grove on Saturday, October 13. Starting at 2 p.m., guests will find over 500 craft beers, live music, food, and other fun features. VIP areas are also available for those who want to enjoy a few extra benefits and commodities. The bash is bound to bring beer lovers from across the state as it's one of the largest beer festivals in South Florida. This year, don't miss one of the most anticipated Oktoberfest events in Miami as Sam Adams and Brickell Magazine honor this fun German tradition at 114 SW North River Dr. On Saturday, October 13 and Sunday, October 14, take part in The Wharf´s special celebration complete with polka bands, Bavarian dishes, food trucks, and a wide variety of German beers. A few other perks include a free hat for the first 1000 people who arrive (and had previously RSVP'd), free Sam Adams beers with the purchase of Jäger shots, live music, and much more! That rounds it up for our list of where to celebrate Oktoberfest in Miami! Don´t forget to stop by, unwind, and enjoy top-quality beer with your friends. Also, remember to stay updated with the latest Miami events by signing up to 305area, your free guide to all things Miami.